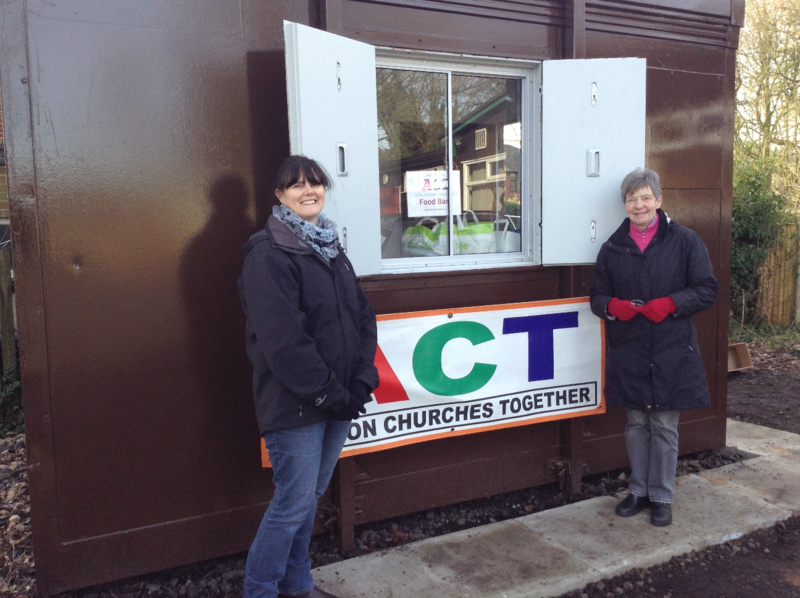 ACT (Ashton Churches Together) Food Bank is a St Thomas’ and St Luke’s organisation that provides food parcels for local people in financial crisis. Supported by other Christian bodies in our locality we operate from St Thomas’s car park every Friday morning 9.30 to 11am and in addition provide an emergency service for those who cannot wait. The ACT Food Bank was opened in September 2012 to help people whose income has stopped for whatever reason, or is temporarily inadequate for their current needs. The idea is to offer emergency help for those faced with not having enough to feed themselves or their families. In some cases this could be because of benefit cut-off or temporary suspension, or other circumstances beyond the person’s control, which means they have too little money to buy food. The Food Bank is supported by St Luke’s, St Thomas’s, Queens Rd Methodists, Beacon Church, the Salvation Army, St Oswalds and St Wilfrids RC, the Congregational Church Hilton Street and other local Christian organisations. We are currently working in partnership with Job Centre Plus, Health Visitors, Start Well, Wigan and Leigh Housing Trust, local doctors and others with specialist knowledge of people’s circumstances. These organisations are referring those they have identified as being in crisis to the Food Bank. It is not intended that recipients will become permanently dependent upon the scheme; each will only entitled to the maximum of five weeks of parcels per household.